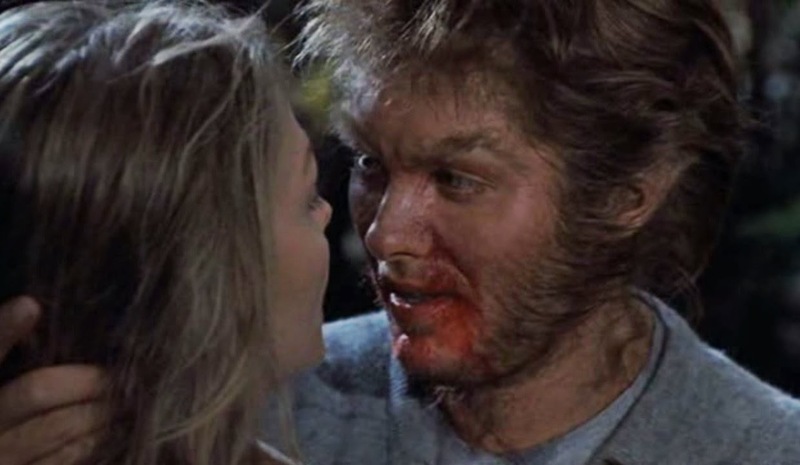 WOLF has Real Actors (Jack Nicholson, Michelle Pfeiffer, Christopher Plummer) and a Real Director (Mike Nichols) in 1994 get together to make a movie about werewolves in New York City. It’s not scary or bloody, so it isn’t much of a horror movie. A drama, then? Recall it’s about people turning into another specie, a stretch, even in the Monster Movie Realm. Very expensive to make ($70,000,000), but not a lot shows up onscreen that warrants it, as the modern-day settings require no big crowds, period clothes or mock-up castles, while the special effects and hairy makeup are fine, but nothing spectacular. So…? Essentially, under the fangs and fur, it’s a dark satire about getting ahead in the modern corporate world (here publishing), a hunting ground for cut throats (or ripped throats, since we’re talking lycanthropes) and there are some fun bouts of subtle put-downs and razor-cut jabs scattered through the script. 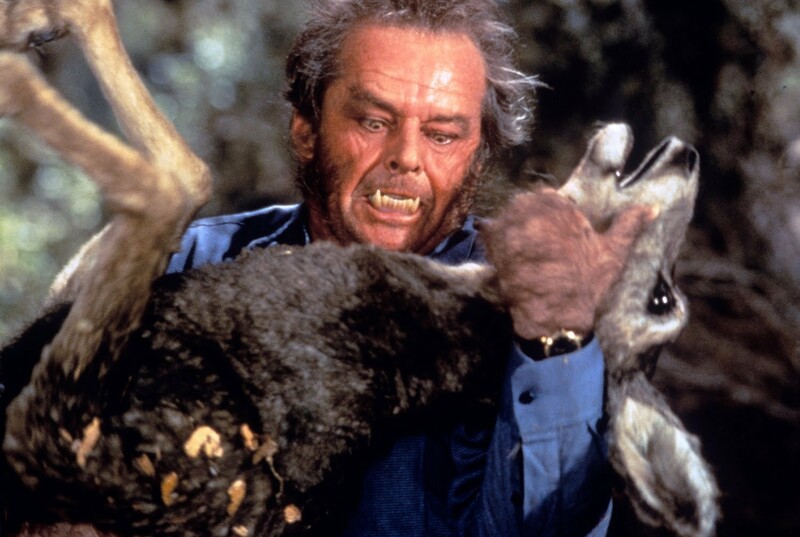 Nicholson is wolfish to begin with, so it’s not overmuch of a reach for him, playing a burned-out publisher who is nipped by a wolf that he hits with his car. The focus turns more on the gradual transformation of his personality and renewed tactile abilities than the familiar hair-sprouting werewolf fans have been weaned on. Watching him–and his stuntman—scamper about– especially those slo-motion leaps–tends to an overbite. Pfeiffer is her usual pro self, but as written her character is undeveloped. All told, fairly clever but silly, not adding up to much beyond passing fancy. So, I guess a kiss is out of the question? By far the strongest element is the delicious performance of James Spader, who out-oozes himself as a yuppie sleazeball. To say that he plays a weasel here… um..it’s paw & snout more than that: Spader can do insincere better than a Senator. Also with Kate Nelligan, Richard Jenkins (having deadpan fun) and David Hyde-Pierce. In bits you can spot Allison Janney and David Schwimmer. Ennio Morricone handled the music. 122 minutes of mild amusement howled up $131,000,000.